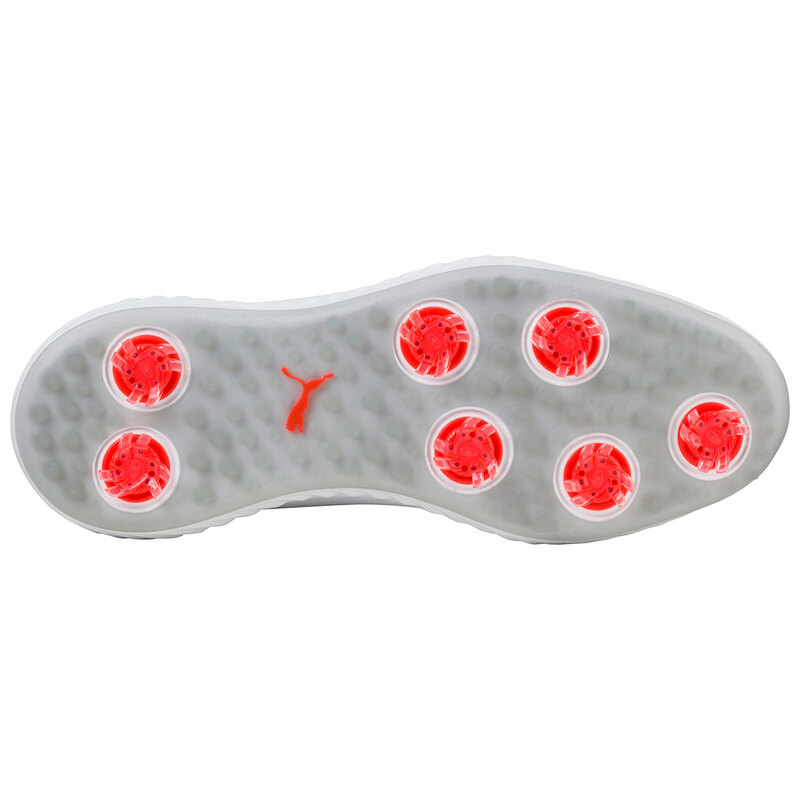 These highly responsive and comfortable golf shoes are perfect for on course activities. The shoes have a premium leather upper, with a Pro-Fit insole to provides an ultra-soft and supportive fitting. This revolutionary technology foam provides more energy return, responsive feel, added cushioning and superior step-in comfort. And to provide a stable platform shoes feature an Outrigger Stability Midsole, and ultra stable platform is created via proprietary midsole geometry. This outsole material and design provides increased grip and abrasion resistance on all surfaces, with a proprietary 3-dimesional PWRADAPT new sole system which increases grip and comfort. 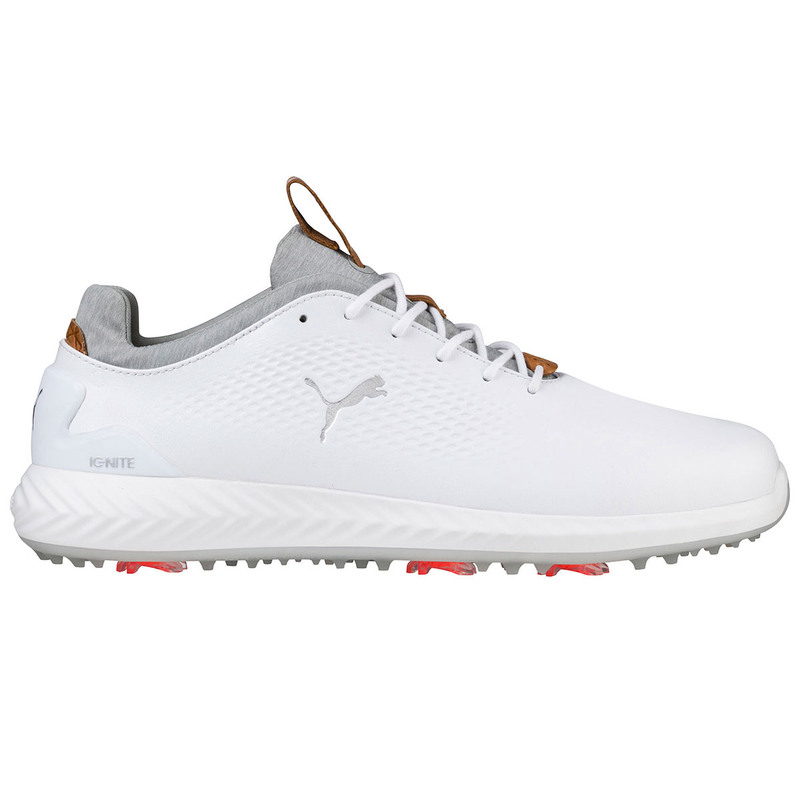 The shoes have an external Pro-Clip TPU heel counter, which provide more stability, and strategically placed multi-directional lugs provide maximum traction through the golf swing. Plus feature Tornado Cleats which utilise the Fast Twist system for easy cleat removal. Other features include a Pro-Fit insole which provides even more comfort whilst walking, plus has reflective laces to add even more style.